Macles Sdn Bhd manufacture and distribute environmental friendly building material and solution. We are passionate to help peoples resolve issue while maintaining low environmental impact for product that we supply. 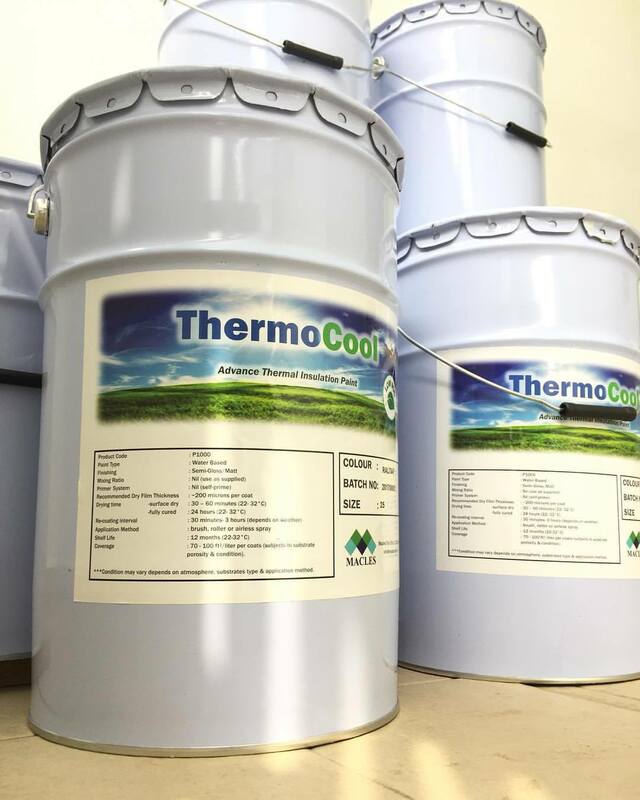 Our main product, ThermoCool - Thermal Insulation Paint Coating is an elastomeric waterproof type thermal insulation coating which is easy to apply and help you to tackle hot ambient temperature issue under a hot sunny day. As our business is getting expanding, we are now looking for new distributors in other states/countries.If you are interested in becoming a distributor please do not hesitate to email us. We will contact you within a few days. Help HP Printer Support Phone Number 1-855-376-8777 and Solved all Printer Query. while buying or choosing a new printer, we often confuse like which brand you must choose that best suits your requirements. HP Printer Support. Nice Information. Thanks for sharing the Post. I am also looking for a protein as I am doing bodybuilding. The protein which will not create any issues in my body. Thanks for sharing the post. Call our Pogo customer service number to learn your pogo games some other error like sign-in error or if you forgot your pogo games password no matter what is going to be the issue that you just simply dial our toll-free Pogo Support Number1-888-203-9661 our specialists will get your call and provide you the best quick solution for your pogo games. Hello, I am Devinhugo from the USA and I am working with a software company. So, if you want any information related to HP software then you can help of HP support phone number. HP offers a hundred percent of money guarantee services to its users. Get the best assistance for HP products then Dial our toll-free HP printer support phone number 1-800-304-9126 and get help instantly for HP products.